HealthDay News — People living in states that expanded Medicaid under the Affordable Care Act (ACA) are less likely to be uninsured or struggling with the strain of unpaid medical bills, but they also seem to have increased difficulty receiving timely care, according to research published in the March 9 issue of the New England Journal of Medicine. Laura Wherry, PhD, an assistant professor of medicine at the University of California, Los Angeles, David Geffen School of Medicine, and colleagues based their findings on data from 4 years prior to the state Medicaid expansions and two years afterward. The researchers included states that implemented the ACA Medicaid provision during 2014 or 2015. They excluded 5 states that had already provided Medicaid or similar coverage to low-income adults from 2010 to 2013. The sample included 60,766 adults, 19 to 64 years old, with family incomes below 138% of the federal poverty level. In year 2 of the expansion, rates of people without insurance were 8.2 points lower in expansion states compared to non-expansion states. Likewise, rates of Medicaid coverage rose by 15.6 points, the researchers found. People were also less likely to report not being able to afford follow-up care, including seeing a specialist. They were also less likely to skip needed medications or take less medicine to save money. Compared with non-expansion states, people in states that expanded Medicaid were more likely to delay obtaining care because no appointment was available, or because wait times for appointments were too long. 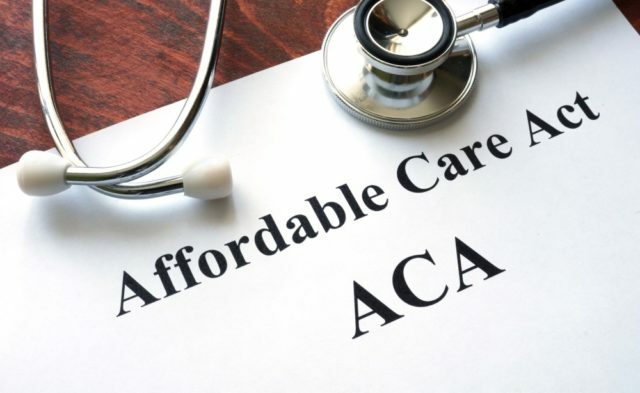 “Medicaid expansion was associated with increased insurance coverage and access to care during the second year of implementation, but it was also associated with longer wait times for appointments, which suggests that challenges in access to care persist,” the authors concluded. How Will the Trump Administration Affect the ACA?